Conflicted Hearts by D. G. Kaye is the latest book I’ve read, enjoyed and reviewed. 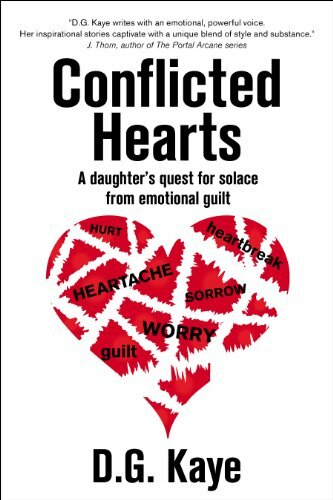 Conflicted Hearts is a memoir — well-written, emotional and full of life lessons that we can all embrace. It chronicles the highlights (and lowlights) of Kaye’s life as she moves from co-dependence to freedom; from duty and obligation to healthy choice; from emotional insecurity to a solid emotional base; from fractured to wholeness. The story begins with Kaye as a child, a product of a two parent home with a loving dad and a less loving mother. I believe there is no other relationship more powerful and influential than that of mother and child (unless one is blessed to find their soul mate and of course setting aside the relationship we have with ourselves and our Spiritual Deity.). 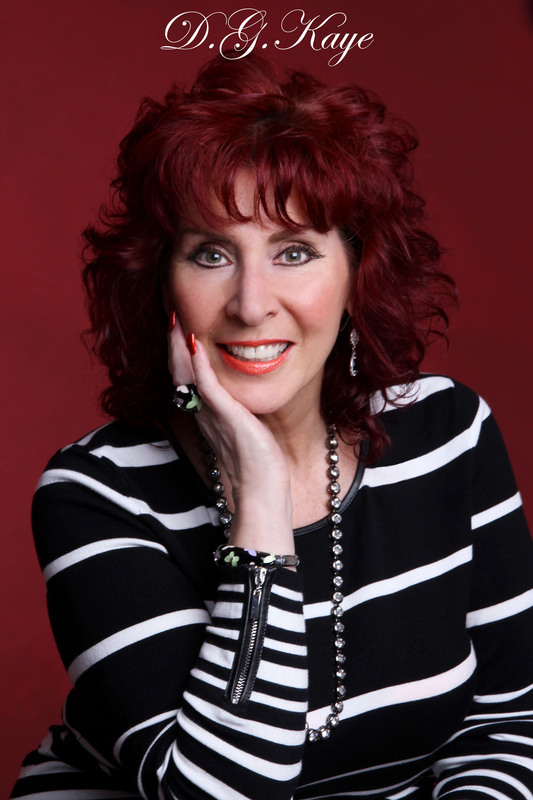 Get that relationship wrong and it can negatively impact a life, which it did in Kaye’s case. Or at least it did until as a young adult she realized the hazards of maintaining an off-balanced relationship and took appropriate means to restore herself. Kaye used two major means to counter the effects of her mom’s early influence. She journaled to identify and understand her mom’s issues and how they impacted her, and she surrounded herself with honest friendships. People who told her the truth, who supported her, cared for, inspired and encouraged her. If not for those means, I’m thinking the ending would not have showcased a woman as balanced, purposed, strong and emotionally stable as Kaye. I found this a bittersweet read. One likes to think all moms are natural caregivers, giving priority to their children. But Conflicted Hearts reminds us that not all women who birth children want to be or should be mothers. That’s the bitter part. Thankfully we have the sweet…where Kaye overcomes her childhood neglect to lead a productive, loving life. That’s not only sweet but encouraging for all. In addition to being bitter and sweet, I found this an emotional read. Because Kaye withheld little in the sharing of her overcomer’s journey, we feel her anguish, her fear, her joys, and tension. We are there with her when she ends toxic relationships. We feel her pain when she goes through illness and uncertainty. We share her happiness when she learns to love and prioritize herself. We feel joy when a good-hearted, caring man enters her life. In the telling, she gives full access to her heart, mind and emotions, displaying at the end, her strength and wholeness. October is a month where we recognize a number of issues related to women (cancer awareness, domestic violence awareness, baby loss and mental illness awareness, etc.) and I can think of no better month to buy and read this book. It just seems fitting for the focus on women and the issues buffeting us. Besides, what better month to show off such an attractive cover! This book is worth your reading time. Buy it. Read it. Be blessed.